We leave for a bit later any details about how exactly this function is used. The flow: So, whenever a component wants to update/change its state, it notifies this centralized store about it . The store updates the global state and then it notifies all components about this change. How does it know the set of all components that need to be notified ? Every component that has a local state and is going to keep this state as part of the global state, it subscribes to Redux store. Subscribing means that it wants to be notified for changes happening to the global state. On notification, the component can take any required action like updating their markup or the way they work (e.g add or remove an event listener). So, no features (markup or functionality) of a component that are based on its state should be updated before the global state has been updated. Yes, the whole flow is a bit strange and it adds significant complexity to your application. But it offers some advantages and as always we are called to weight the pros and cons and decide if you want to go this way or not. 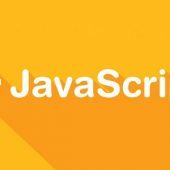 What is returned by the store is a function that can be used by the component in order to unsubscribe. And what is passed to the store during subscription is a callback function. Usually, this callback will be part of the subscribing component (a method of the component’s class) and it contains logic that this component needs to execute when notification about a specific action type comes from the store. Note: The difference between the “event” and “action” terminology is, in my opinion, not significant here (it is not like the “event” and “action” concepts in CQRS/Event Sourcing where they represent two different things: https://github.com/reactjs/redux/issues/891 ). Here, the first one works passively, by emphasizing the need to respond when somethings happens, and the second works actively, by emphasizing the we are asking for something to happen (hiding the reasoning behind this intention). 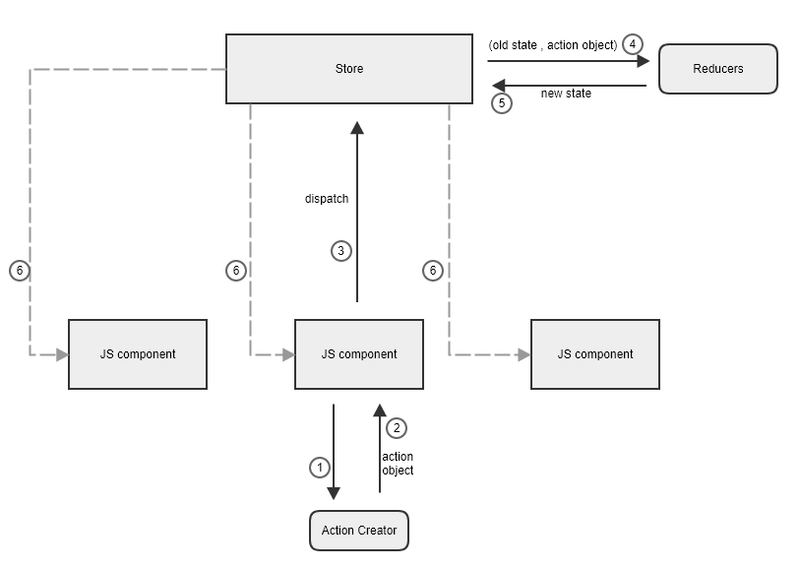 Of course, no matter if information about state changes is included in the action object, the role of Redux store as an event manager does not change. I just wanted to make this distinction so that I can put aside for a moment the “manager of global state” functionality of the Redux store. Event management is, of course, the means for implementing the global state management. Dispatching an action: The update of global state and the notification of all subscribed components about an action (and anything else that should also take place as part of this action) by the Redux store is called “dispatching”. This dispatching is not necessarily triggered by a component. You can call store.dispatch(action) from anywhere in your app, including components and XHR callbacks, or even at scheduled intervals. Action creators: In order to better organize our code and because sometimes an action may be fired in many places, it is a common practice to define functions that return action objects. Such a function is called “action creator”. Notice that the current (global) state is implicitly passed as the first parameter to the top-level reducer. Also notice that the reducer does not modify the existing state object but instead it creates a new state object. This happens in order not to destroy the old state. This allows us to travel back in time for the state and follow the changes (e.g for debugging purposes). After the reducer returns the new state, Redux store internally replaces the state with the one returned by the reducer. 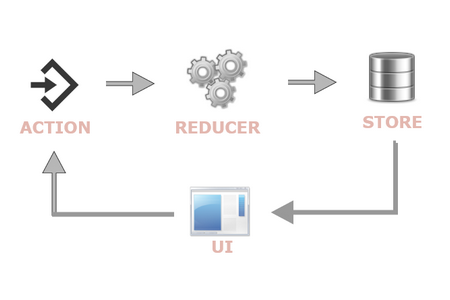 Using multiple reducers: Usually a lot of actions are defined in an application and so the job of the top-level reducer is split to more than one (sub)reducers. This is usually done in one of the two following ways. Firstly, we can use multiple reducers where each one handles a specific action or a set of actions (separation based on actions). Secondly, we can delegate the update of a specific part of the global state to a separate reducer (separation based on state parts). An example follows that uses multi-level reducers where each reducer handles a specific part of the global state. Take notice that each reducer gets as parameter just the part of the state it is interested in. Of course, we can initialize the state only for the top-level reducer (global state) or use a distinct initial state for each sub-reducer (as far as the set of sub-reducers covers all the possible actions and state parts. Ok! This is the general idea. It does not describe the whole functionality of Redux.js but it gives a big picture of the Redux architecture.